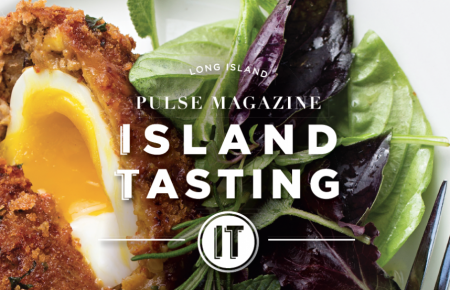 Long Island, N.Y. Long Island Pulse releases its annual Winter Issue, embodying the essence of the holiday season by sticking to tradition, yet also incorporating new elements sure to make a lasting impression throughout 2013. A myriad of highly anticipated features, from the Holiday Gift Finder and Fashion: Prelude to a Scene to Oh, Canada! and Haute Habitats, are the bedrock for a new column titled Picture Past. LI Pulse exemplifies, yet again, that it is the ultimate source for everything you need to know about Long Island. Although Picture Past is the newest column, its essence is one of timelessness; transporting the reader to the quaint, early days of the tony Gold Coast village of Cold Spring Harbor. Pulse contributor and veteran journalist, Aileen Jacobson will be combining her decades of expertise covering Long Island history and culture with the compelling visual aesthetic of the magazine. In this new column, she will profile a different Long Island treasure, antiquity or person of note each month. In the Winter Issue, Jacobson documents “The Jewels in Long Island’s Crown.” The Society for the Preservation of Long Island Antiquities celebrates the village of Cold Spring Harbor with a gallery exhibit of photography capturing a “place over time,” as Robert B. MacKay, the society’s director, calls it. Visit: lipulse.com/splia to view images, including: Bayville Ferry Pier, Vanderbilt Cup Race in 1904, ice skaters on East Norwich Pond, and West Tuthill Street in Port Jefferson.